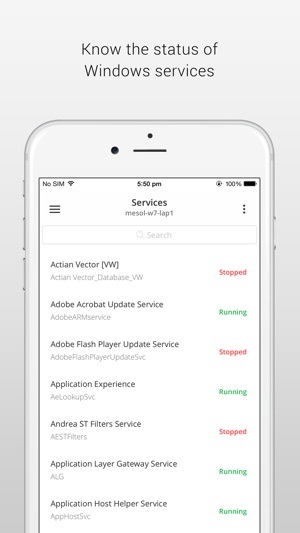 ManageEngine Server Monitor app offers Windows server monitoring and its services management capability from your iPhone. 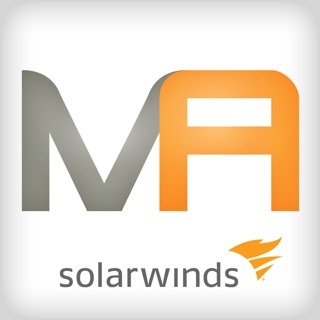 IT administrator can monitor the performance of the server and manage Windows services. It displays server CPU, Memory, Disk and Traffic usage details. 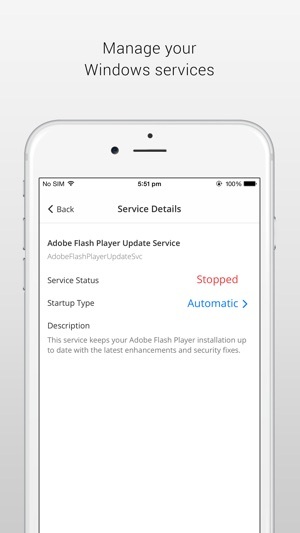 The users can Start, Stop Windows services and also Shutdown, Restart windows servers from their mobile. 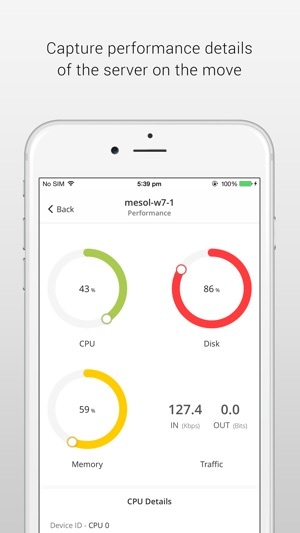 Displays server performance details such as CPU, Memory, Disk and Traffic usage. Monitors services and its status in windows servers. Know the status of the services like Running, Stopped, Stop Pending and Start Pending. Start and Stop the windows services. Change Service Type like Automatic, Manual and Disabled. Ping the server and know its availability. Shutdown Windows server from your mobile. 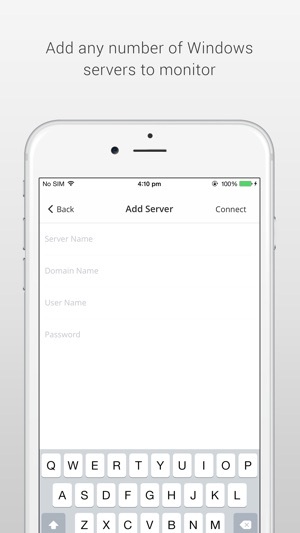 Restart Windows Server from your mobile. Monitors servers running in Active Directory and WorkGroup environment. 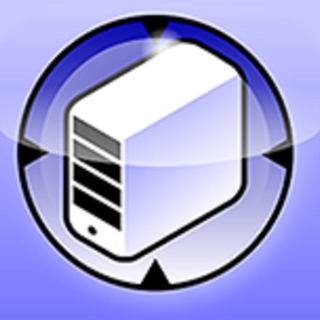 Support for Windows 7, Windows 8 and Windows 10 servers. The App will install a agent in Windows server to monitor. The Port 445 should be opened in Windows server which we are monitoring. I can get service status but performance fails to get any data.